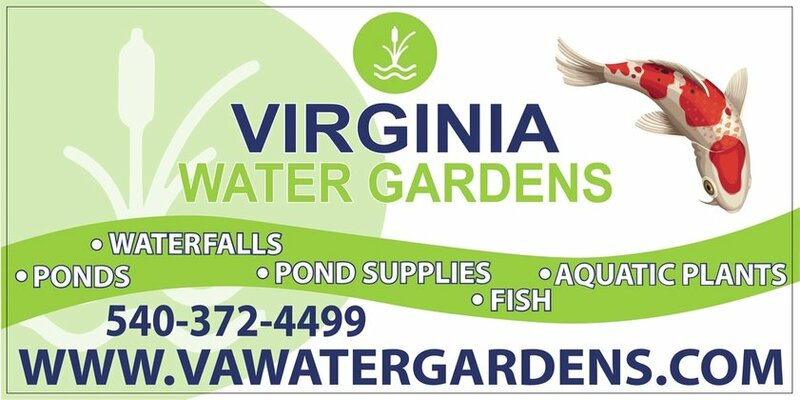 If you ask us at Virginia Water Gardens in Fredericksburg VA one of of the most popular water feature options across the country is the Disappearing Aquascape Pondless® Waterfall. This is an ideal option for consumers that want the sights and sounds of water without having a traditional pond or water garden. This style of water feature is an ideal option for consumers with space constraints, small children or municipality restrictions. A Pondless Waterfall is, without a doubt, the most beautiful and sought-after landscape water feature. If space is limited in your yard, consider adding an Aquascape Pondless® Waterfall to enjoy the soothing sounds of running water. A waterfall can be soft and serene in the form of a babbling brook, or it can be more dramatic with a longer drop. Available in a variety of sizes and configurations, the Pondless Waterfall is a great option for both small and large outdoor spaces. Waterfalls are extremely low maintenance, energy efficient, and attract a variety of wildlife. Children love exploring nature in and around the waterfall. Whether you add a waterfall to your front or backyard, be sure to locate it near a window so the melodious sounds can be enjoyed from inside your home, too! A Pondless Waterfall is simply a re-circulating waterfall or stream without the presence of a pond. Pondless waterfalls work by pumping water contained in a large, in-ground reservoir up and through the Waterfall Spillway, allowing the water to flow back down into the reservoir. This simple recirculation system requires very little maintenance, is easy to install, and ideal for families with young children or pets that love to play in water. Enjoy the beauty and soothing sounds of a pondless waterfall from any location in your yard. Tuck a small waterfall near the front entrance of your home to greet visitors, or delight in a longer waterfall in the backyard where you can incorporate interesting twists and turns. You can easily add a pond to your waterfall later on, if you decide that you’d like to keep some fish and enjoy a larger variety of aquatic plants. 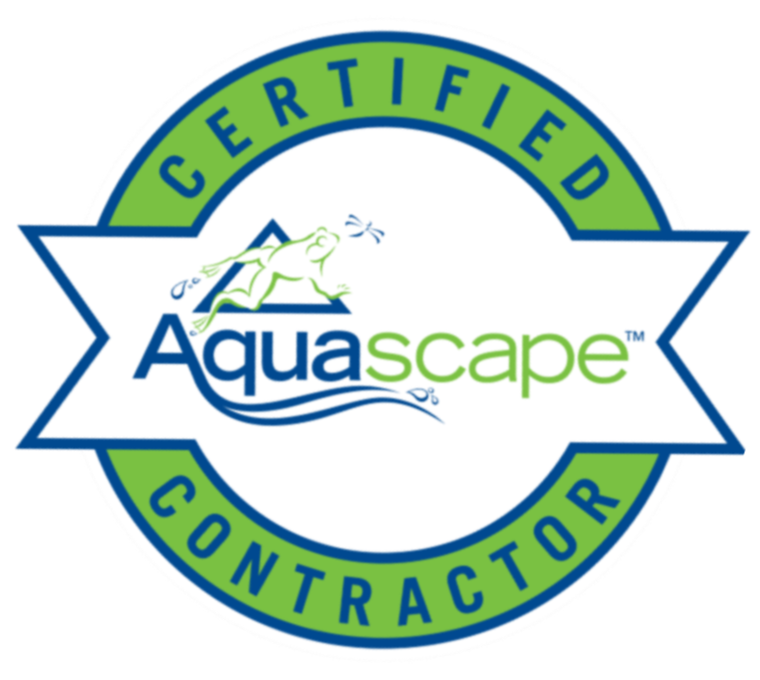 The Aquascape Pondless® Waterfall Vault was designed to integrate with the AquaBlox® making installation a snap. 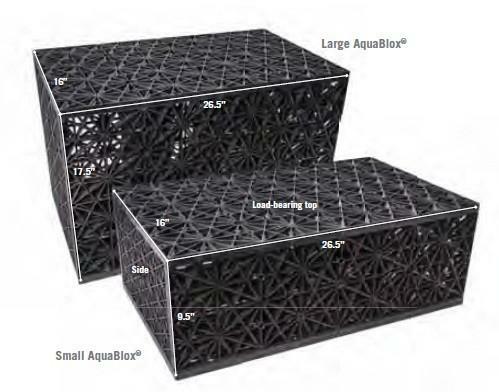 The Pondless® Waterfall Vault's standard height is for basins using the Small AquaBlox®. Optional Pondless® Waterfall Vault Extensions can be used when creating deeper basins using the Large AquaBlox®. The vault's extra wide opening provides easy access and the large interior fits a wide range of pump sizes. The lid is easy to camouflage, and includes a built-in water level inspection port Allowing it to be buried out of sight. Aquascape's liner underlayment helps protect and prevent tears in the liner while placing large rocks on top of it. The underlayment provides more protection and is easier to use than folding regular underlayment. Aquascape underlayment is for users who are looking to place rocks on the liner. The underlayment prevents from any rips or tears from happening on the liner as rocks are placed. Gravel and rocks can easily tear the liner. ​Aquascape high quality Flexible PVC Pipe makes installations quick and easy. 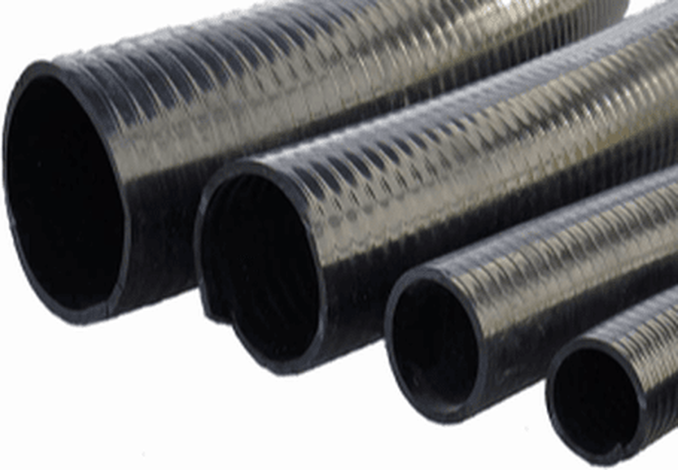 The added benefits of this type of pipe is durability and the ability to be glued into standard Schedule 40 PVC fittings. Simplify your installation saving you time and money. The proper size pump is extremely important for the aesthetics of a water feature. More importantly, an efficient circulation system will keep the water moving and provide the necessary oxygen levels for healthy fish and plants. Choosing the right pump for your pond is often one of the most intimidating and important decisions that you will have to make. When shopping for pond pumps, don’t get fooled by a cheap price. Buy a pump specifically designed for pond use. Remember, unlike pond lights, your pond or water garden pump will need to run 24 hours a day. ​The Waterfall Spillway is an ideal solution for starting waterfalls on Pondless® Waterfall systems, where, due to the absence of fish, more expensive biological filters aren't necessary. ​3​) Aquascape Pond and Landscape Light Kit : includes everything needed to create a beautiful nighttime focal point in any water garden or traditional landscape. 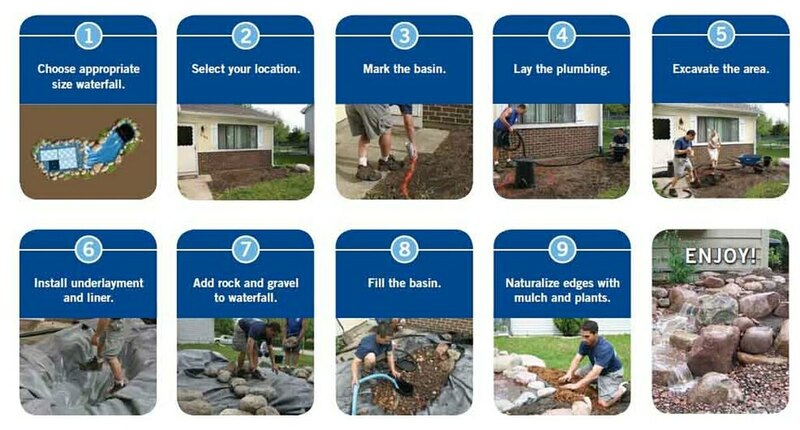 How Do I Build A Backyard Pond? - Learn How To Build A Pond Here!